The skull is one of the most attractive and fashionable motifs around. But for some people, the skull means more than just another design, but rather a statement. With its simple yet iconic silhouette, deep meanings, and superior versatility, there’s no doubt that the skull will remain a fashion icon for a very long time. 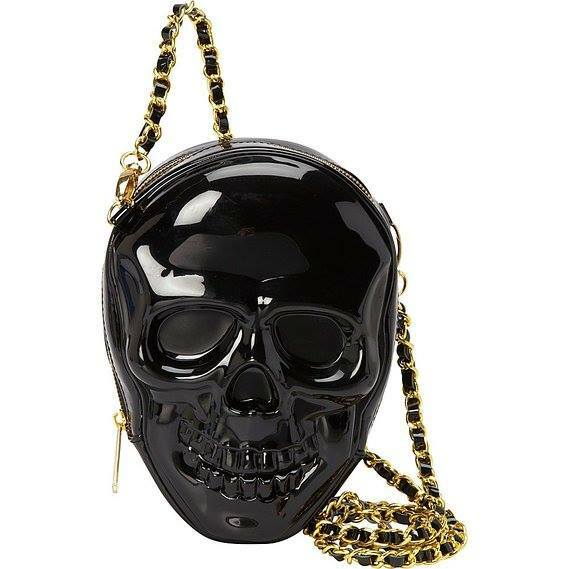 Carrying your stuff just got a whole lot cooler with this Loungefly 3D Molded Skull CrossBody Bag! Loungefly is a small team of fun loving, creative people with one goal in mind – to design and sell unique and cutting edge tee shirts and accessories. They are well known for their sugar skull bags and wallets.